Here’s a quick peek at the goings on in my Arch City backyard. So happy it’s spring! Bloodgood Japanese maple (Acer palmatum) starts to leaf. Pretty pink tulips in bloom. Fond reminders of a family trip to the Netherlands last fall. Bright chartreuse and green leaves of Japanese forest grass (Hakonechloa macra) after a rain. 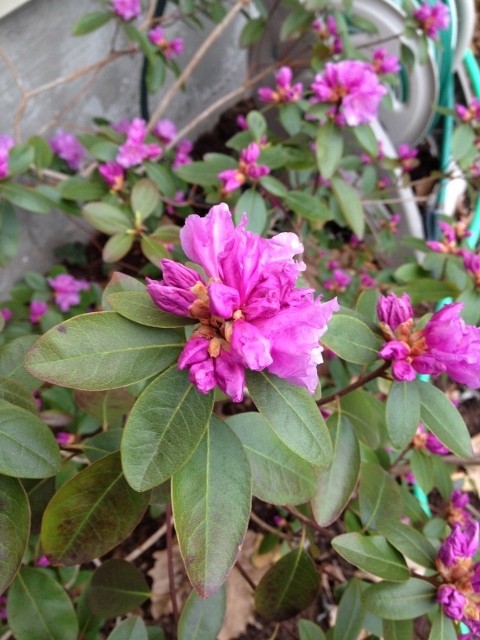 Pretty pink and purple rhododendron in full bloom. Note the rain barrel in the back. More about that in a coming post. 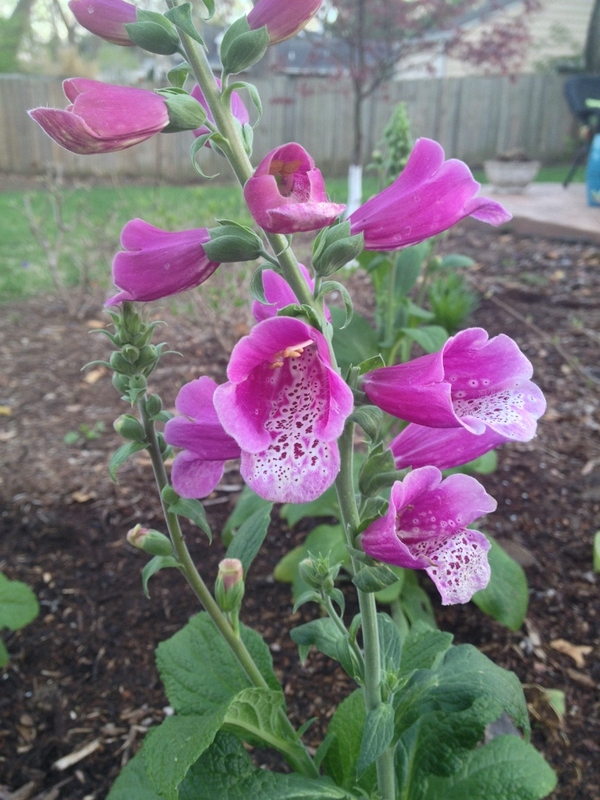 Husker Red penstemon (Penstemon digitalis) bursting forth. This is one of my favorites. I love the purple/green leaves with red veining. Before too long it will be in bloom. Hairy stemmed astilbe (Astilbe chinensis) are planted near the Japanese forest grass. But there are other signs of life in my shade garden: pointy tips of hosta emerging, curly coral bell (heuchera) leaves, rosy colored tips of Solomon seal (polygonatum biflorum), lemon-lime creeping Jenny (lysimachia nummularia), and soon, ferns, glorious elegant ferns. 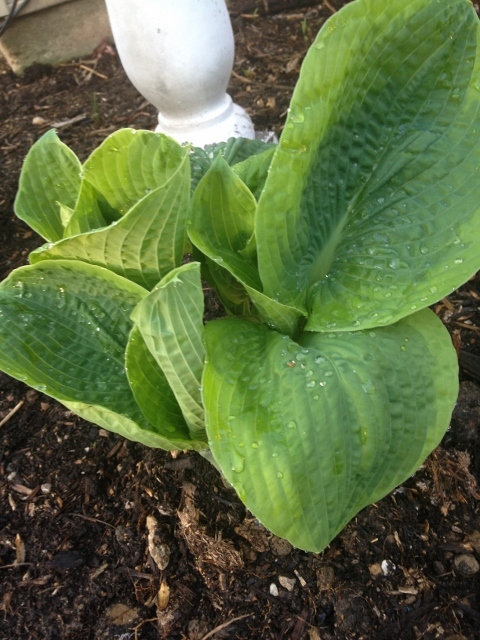 The great seed planting experiment shows signs of life: cool season greens and brocolli. Spring rainfall, cool night time temperatures and warmer days make possible all of the above. Categories: Musings, Uncategorized | Tags: acer palmatum, astilbe, bloodgood Japanese Maple, clematis, coral bells, creeping Jenny, fern, Hakonechloa, heuchera, hosta, Japanese forest grass, Penstemon digitalis Husker red, polygonatum, rhododendron, Solomon seal, tulips | Permalink. Here’s a close up of what’s blooming and coming up in my yard. I took these photos over the weekend, before we were hit with high winds and lots of rain. A newcomer to the garden, I love the “freckles” on this guy. 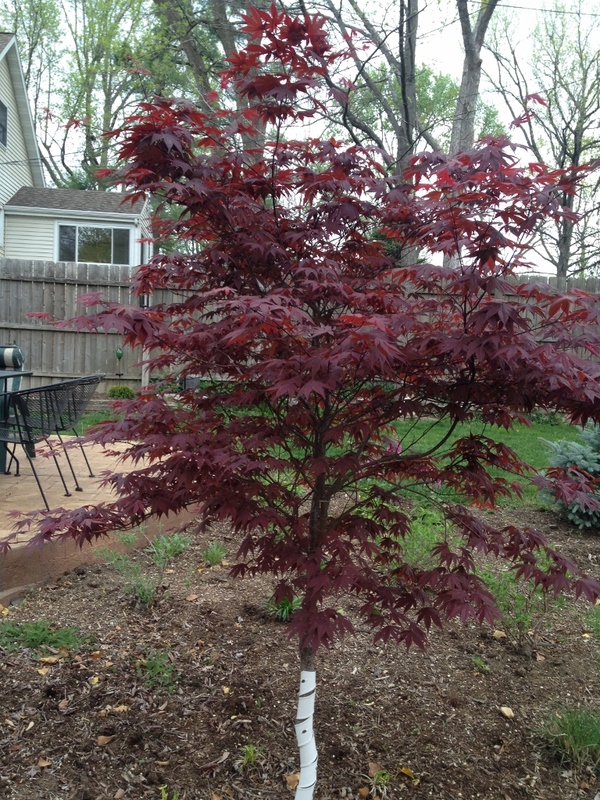 Bloodgood Japanese Maple was the centerpiece of my gardens and the first specimen I planted in 2012. In fact, it was the first tree I had ever planted. During spring the leaves seem to change color daily. 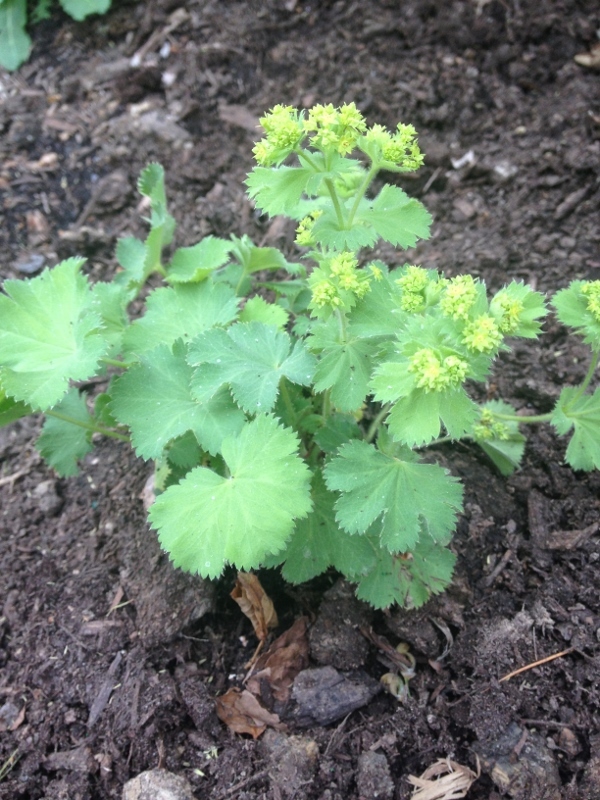 I can’t wait to watch one of the new additions to the garden–lady’s mantle. This is one of the plants I am obsessed with this year. 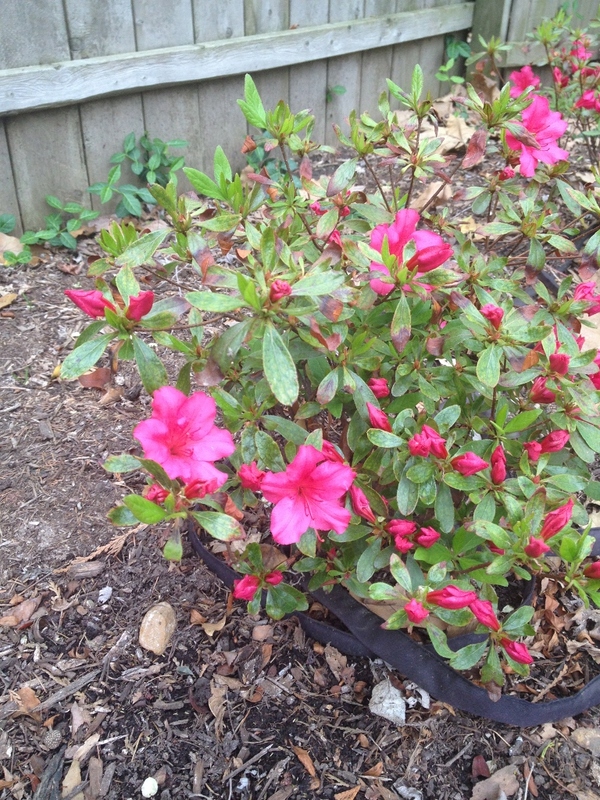 The rhododendron got the worst of the winter and suffered lots of leaf scorch. It’s blooms are beautiful though. This silver mound is vigorous and hardy and is a wonderful ground cover at the edge of the patio bed. 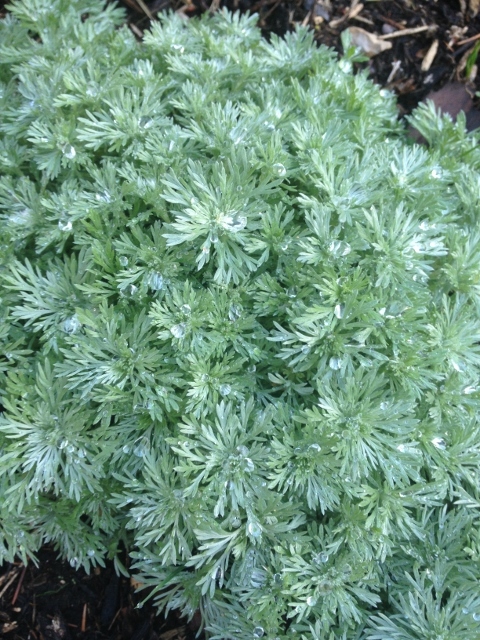 Notice how the water droplets magnify on artemisia’s feathery leaves. Categories: Inspirations, Musings, Plants | Tags: acer palmatum, alchemilla mollis, Arch City, Artemisia, azalea, bloodgood Japanese Maple, digitalis, foxglove, Frances William hosta, lady's mantle, P.J.M rhododendron, St. Louis | Permalink.